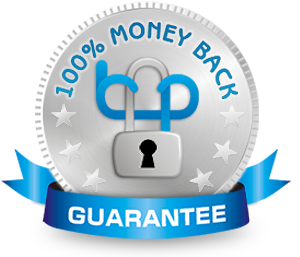 We know that you’ll be satisfied with WP-Client, but if for any reason, the product doesn’t fit your needs, we are happy to provide a full refund for WP-Client if your request falls within 15 days of your initial purchase. If you need additional time to evaluate the plugin, simply contact us to request an additional time window. Each week, we have a wide range of customers who purchase the plugin assuming it will fit their needs. In a very few cases, for a variety of reasons, WP-Client ends up not being what the customer expected, or not exactly the best fit for accomplishing their goals. Typically, our Support Team can quickly guide the customer through any confusion, but there are cases where WP-Client might not be the perfect fit. In more than a few of these cases, we find that customers ask for a refund thinking that WP-Client won’t allow them to get a certain result, when in fact, the plugin can deliver that result. For this reason, if a customer requests a refund, we will politely ask for a brief explanation of why they feel the plugin won’t work for them. This lets us be sure that they aren’t missing or misunderstanding a functionality that would serve their purposes, but it also helps us be in tune with the many variations our customers are trying to find solutions for. By asking the customer why they would like a refund, we are able to guide the direction of WP-Client’s development based on the feedback from our interactions. So, in the end, our Refund Policy is a good thing for us! Because we value the opinions of our customers so much, we see our refund policy as a valuable tool for gathering real world feedback from real world users.